Empty tables, grumpy customers, and worried owners were the common picture in nightclubs and bars during the first weekend of the full smoking ban in public spaces in Bulgaria. According to the Cross news agency, lines of people smoking outside were seen near some of the most popular establishments in the capital Sofia with some of them having no more than 7-8 visitors inside during what was previously known as their peak hours. "If this remains the same, we will soon go bankrupt," terrified owners are quoted saying. 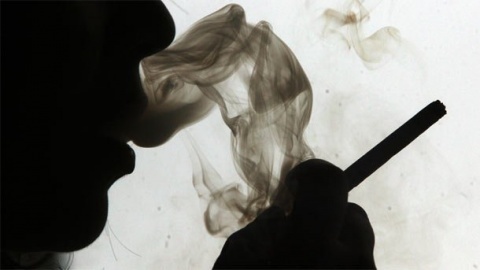 Cross further reports that a number of owners of bars and nightclubs in the second largest city of Plovdiv have allowed their customers to smoke despite the steep fines. Their boldness is grounded in the fact that there are only four teams of health inspectors with two people each checking more than 4 000 night establishments in the city. "We were waiting for you and thought you would never come," the owners have joked upon the arrival of the inspectors. Many establishments in the Black Sea city of Burgas have stayed closed over the weekend over the lack of customers. Some of the most popular ones that remained open had only one visit in 12 hours while in others the staff, left without anything to do, organized karaoke parties for themselves. The picture has been the same across the largest Bulgarian cities with smokers who dared to venture out lighting cigarettes on sidewalks or in the bathrooms where smoking is also banned. According to the report, health inspectors, in addition to walking around and probing establishments, are working on information about violations sent to them by vigilant non-smokers.